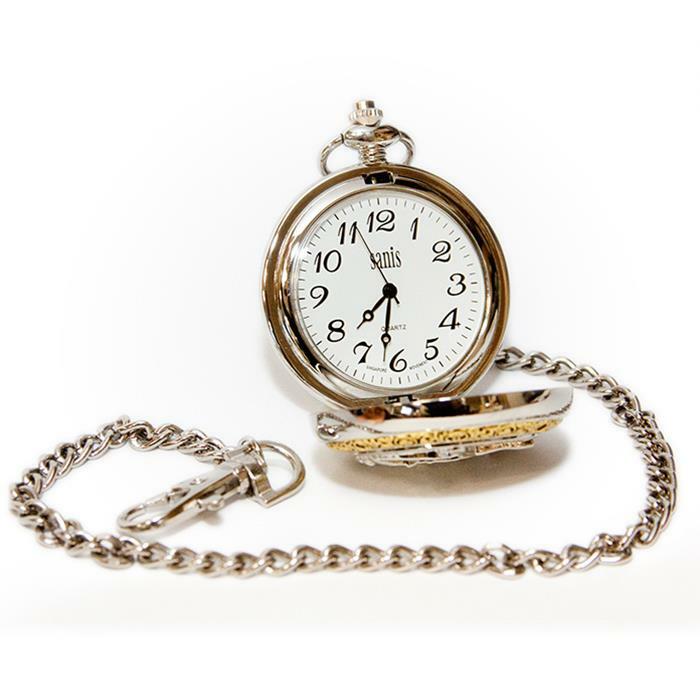 Silver-plated pocket watch with gold trim and silver chain. Clock face cover features low-relief treble clef and a swoop of musical notes. Dimensions: Watch face 1¾" diameter.